Far Too Loud, Fedde Le Grand & Nicky Romero, DJ Serafin, Porter Robinson, Actual Phantom and more. 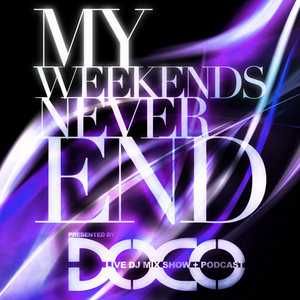 This week DOCO takes you on a journey through EDM starting with Electro, moving into trap & dubstep, moombahton and progressive house, hardstyle & trance, then brings it home with more familiar electro remixes including his personal remixes, mashups and original music. This multi-genre set was recorded live in Tampa, FL at his residency at The Amphitheater.